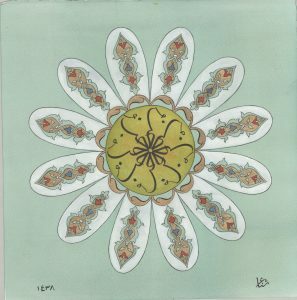 Islamic art encompasses the visual arts produced from the 7th century on wards by people who lived in the Muslim world. 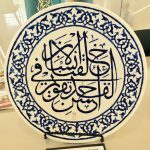 The similarities between art produced at widely different times and places in the Islamic world is the key feature of Islamic art. It includes calligraphy, painting, glass, ceramics, woodwork and textile. 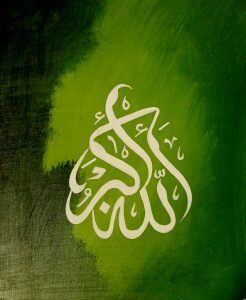 It reflects the beliefs, culture and traditions of Islam. 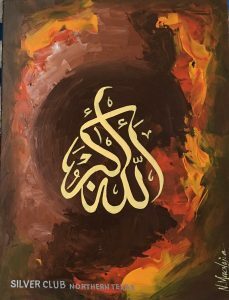 Typically Islamic art has focused on the depiction of calligraphy and interlacing patterns, rather than on figures, because it is feared by many Muslims that the depiction of the human form is idolatry and thereby a sin. 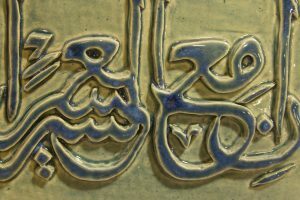 WHAT IN THE WORLD IS ISLAMIC ARTS? When explorers began travelling to far-flung areas of the world they found art that was very similar in places that were often thousands of miles apart. 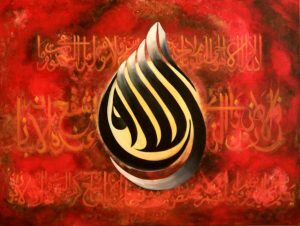 The common thread was the influence of Islam or Muslims in this art and hence the term “Islamic Art” was coined. 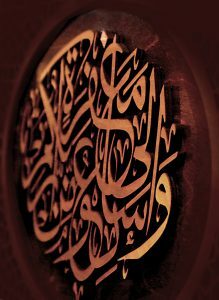 Calligraphy is the most revered form of Islamic art. 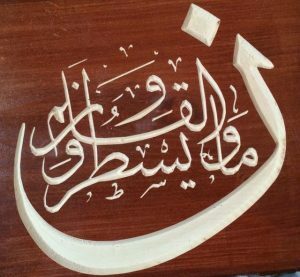 It is used to represent God or “the word of God” which is The Quran. 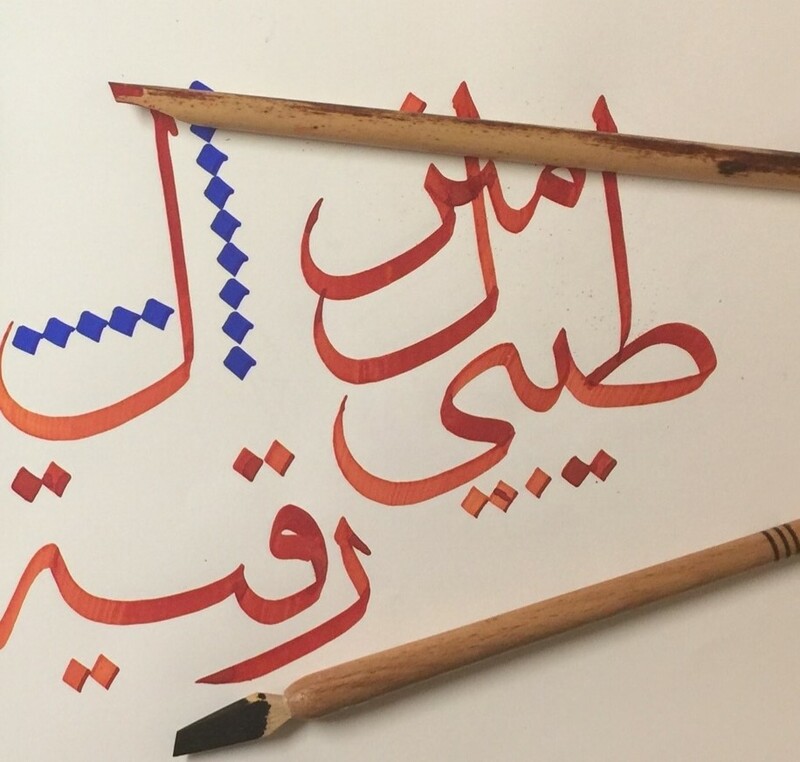 Muslim artists seek to create art by glorifying the words from The Quran. 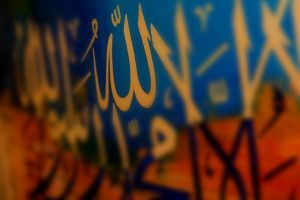 Muslims believe that depicting figurative images of God is akin to idolatry. 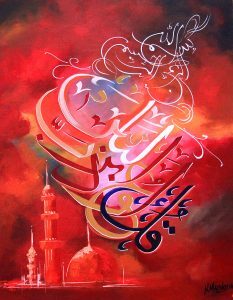 Therefore Muslim artists channel their artistic expressions towards decorating the word of God through calligraphy. 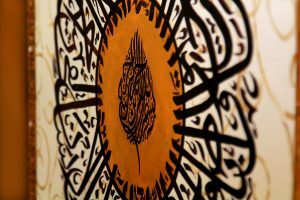 Over the centuries this art has matured as a functional communicative script as well as artistic and graphic decorations on the walls and ceilings of Mosque and other buildings. 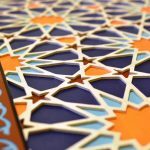 Arabesque is an artistic pattern created by repeating elements of geometrical floral or vegetal designs. It is a form of artistic decoration consisting of elaborative rhythmic repetition of patterns of scrolling and interlacing foliage, plants or plain lines. 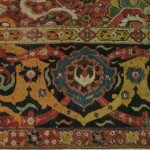 Textile art encompasses rugs, carpets and silk adornments. 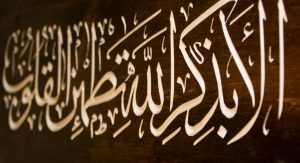 Many provide practical usage in daily life such as floor coverings, prayer rugs, coverings for religious objects, cushions, wall coverings that provide architectural enrichment to the room. 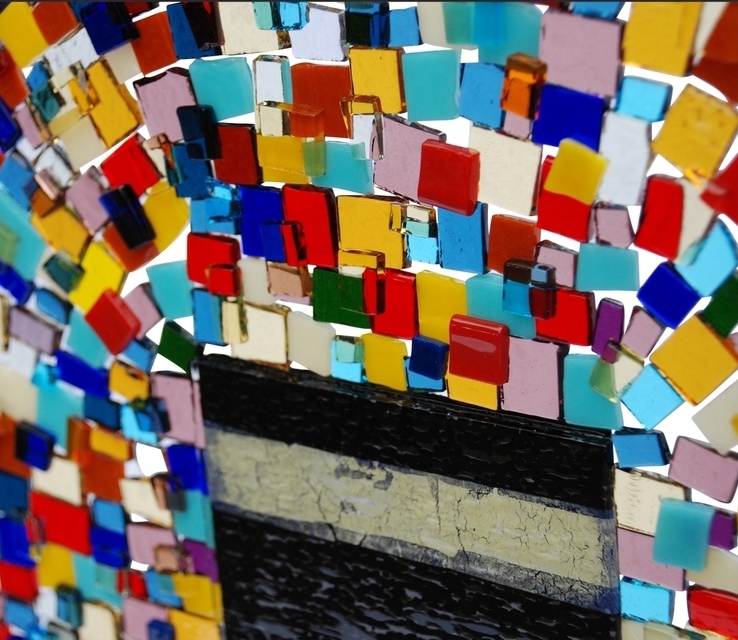 Glass making flourished under Muslim rulers in the various centers of production in Egypt, Syria and Persia. Religious object such as mosque glass lamps were beautifully adorned with floral motifs and inscriptions from the Quran.Miniature glass paintings flourished in Persia. Medieval Islamic metalwork offers a complete contrast to the European art, which is dominated by modelled figures and brightly colored decoration in enamel. 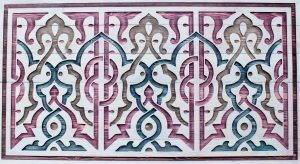 In contrast Islamic metalwork consists of practical objects, with elegant surfaces highly decorated with dense Arabesque pattern. 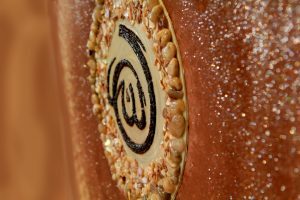 The color is mostly restricted to inlays of gold, silver, copper. Household items, such as ewers or water pitchers, were made of one or more pieces of sheet brass soldered together and subsequently worked and inlaid. The use of drinking and eating vessels in gold and silver, the ideal in ancient Rome and Persia as well as medieval Christian societies, is prohibited by the Hadiths, as was the wearing of gold rings by men. Most artisans therefore used brass, bronze, tin and steel. 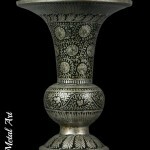 Commonly seen are candlesticks and lamp-stands, lantern lights, bowls, dishes, basins, buckets, pen-cases and plaques. 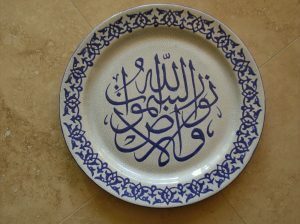 Ewers and basins were brought for hand-washing before and after each meal, so are often lavishly treated display pieces. Specialized objects include knives, arms and armor and scientific instruments such as astrolabes, as well as jewelry. 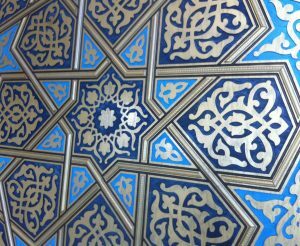 Decoration is typically densely packed and very often includes arabesques and calligraphy.